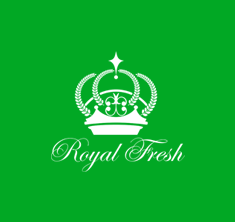 Royal Fresh International Pty Ltd was established in 2012 as an importer/exporter and distributor of fresh produce in Melbourne. Our main business is the export of Australian fruits all year round, which include cherry, mango, citrus, table grape, stone fruit and a number of others. Besides, we export fresh vegetables such as carrot, celery, onion, potato, broccoli and so on. In the past years, our capacity to deliver consistent, premium quality and professional services have gained us the trust of many loyal customers, especially in China, where we have developed market share through diverse marketing channels. In addition to fruit exports from Australia, Royal Fresh imports a range of fresh products, including snow pea, sugar snap, onion flower and Spanish and Mexican garlic. We also provide consulting services regarding the acquisition and operating of table grape farms. Finally, we export premium cherry liquor.